Top 10 Questions to Ask Any Agent Before Buying Workers Comp Insurance. Save money and get the very best deal by asking your agent the right questions about coverage. Knowledge is power. Give us a call at 888-611-7467 if you need more information about work comp for your business. Most employers searching for workers compensation are looking for lower rates or better coverage. But they're not always sure what questions to ask their agent. And unfortunately, a lot of insurance agents who don't specialize in workers comp don't have the knowledge needed to get you the best deal. Often times its buyer beware, and some businesses end up with inadequate coverage, or they pay too much for their policy. At Workers Compensation Shop.com, we're here to help. Whether you buy your insurance coverage from us, or you purchase it from another agency, here are 10 great questions to ask any agent about workers compensation insurance. What are your state rules and regulations for coverage? Workers compensation is different in every state. Owner exclusions, minimum payroll requirements, and other factors can affect your rates. Ask about how the laws in your state affect your coverage. How many employees are required by law before workers' compensation is required? All states have different rules that trigger coverage requirements based on the number od employees. Also ask about owners, subcontractors, and other 1099 payments you make and how it affects your policy. Is there automatic coverage for work in other states? If you do any work outside your primary state, it's important to make sure you will have or can get coverage extended in that state. Most states allow injured employees to file a claim in the state they were injured in and/or reside in. How do safety and drug programs impact workers compensation rates? Many insurance carriers will offer policy credits that reduce the cost of premium for employers who have a formal safety and/or drug testing program. Ask your agent about all available credit options. How will past claims history impact current workers compensation rates? Your track record, or "experience modification factor" compares your business against other companies in your state and industry. The process of MOD credits and debits vary by state, so be sure to ask if you have an experience Mod. Ask about additional premium discounts in your state too. Can the amount of Employer's Liability coverage be adjusted? Employers liability coverage is part of every work comp policy. You may be able to increase or decrease the amount of coverage (and the cost) based on your needs and risk exposure. How does the carrier handle employees in the event of a claim? This is an important and often overlooked aspect of workers comp coverage. Ask about each phase of the carriers care and recovery process in the event of a claim. Are there flexible payment options like real-time payroll reporting? Insurance premiums are typically based on estimated payroll and charged up front or over the first few months. Real-time reporting is based on actual payroll and allows for Pay As You Go workers compensation insurance. What extra coverages, above the basic minimum, are offered at no extra cost? Ask if the policy will pay for loss of earnings, costs for bonds and appeal bonds, litigation costs, and interest on judgments. Coverage varies by insurance company so get the most for your money. What is the reputation of the insurance company? Are they A rated? Are they financially secure and reputable? How long have they been in business? Do they manage claims quickly and fairly? A lot of online insurance websites are actually stealth marketing companies that sell online leads to other insurance agents. Those agents are then left to fend for themselves while they attempt to sell you an insurance policy. At Workers Compensation Shop.com, we're not a marketing company and we don't sell leads. We're a national insurance agency with a dedicated staff of Workers' Compensation Specialists. We compare and shop your coverage with more than 35 carriers to find your very best deal. We know that business owners and managers want to work with agents who are honest and fair. 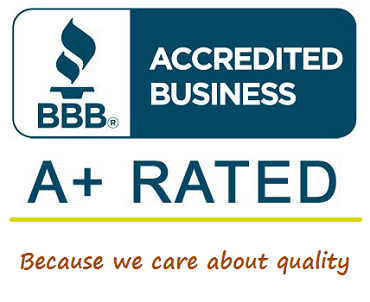 That's why we're a member of the Better Business Bureau. Start with trust when you shop online or phone with us. We've been in business since 2005 and have an A+ Rating. Start your quotes online or call us at 888-611-7467. Got questions about workers comp? We've been helping business owners better understand workers compensation insurance since 2005. If you're looking for lower insurance rates or the best workmans comp coverage available, we can help. Give one of our Workers Compensation Specialists a call today at 888-611-7467 to get answers and more information about workers compensation insurance for your business. Or contact us online.